In anticipation of his upcoming conference presentation, Driving Superior Growth Through Self-Developed Code, Scoring Modeling, and Price Optimization, at Predictive Analytics World Boston, Sept 27-Oct 1, 2015, we asked Herman Jopia, First Vice President and Data Analytics Manager at American Savings Bank, a few questions about his work in predictive analytics. A: We have developed and implemented attrition, profitability, and response models. A: Predictive analytics helps us to understand our customers and prospects. In practice that means a better answer to questions like who to target, what to offer, why it makes sense, and when and how to do it. For example, our response model for direct mail helps us to manage volume and reduce costs by excluding prospects that have a low propensity of taking the offer; therefore, it drives a lift on our profitability metrics. A: Besides monitoring the models and metrics, we actually look at how these models impact both growth and profitability. For example in 2014 our targeted direct mail offers dramatically increased the volume and value of our unsecured loan portfolio, a remarkable achievement in a limited and matured market. A: One interesting finding was the sensitivity to interest rates in a loan offer. Though it follows the general theory of supply and demand for credit, the price elasticity by segment turned out to be surprisingly different. This makes us think very hard when we want to give the right offer to the right customer, a continuous and crucial challenge in Marketing. A: The presentation will illustrate that “business as usual” would have never gotten us to where we are today, and the effort of moving from descriptive to predictive analytics was the right thing to do, especially in terms of results. 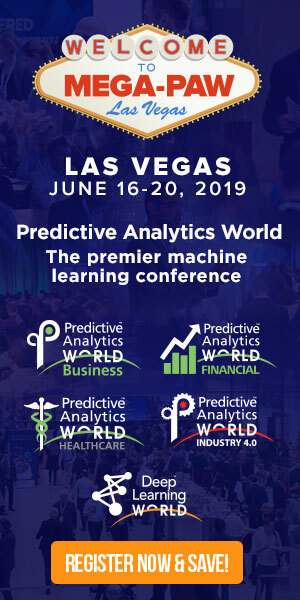 Don’t miss Herman’s conference presentation, Driving Superior Growth Through Self-Developed Code, Scoring Modeling, and Price Optimization on Monday, September 28, 2015 at 10:30am to 11:15am at Predictive Analytics World Boston. Click here to register to attend.